Biloxi, Mississippi: The UPS Store is now open at 296 Beauvoir Road, Suite 100. Owner, Jay Gannett, says an official grand opening will be held later this month but wants to let everyone know that his store is open for business. 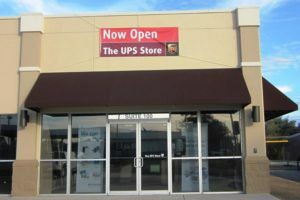 Offering digital printing and document finishing, mailbox services, packaging materials and services, shipping and freight and much more, The UPS store at Shoppes at Beauvoir is open Monday through Friday, from 8 am until 7 pm and Saturday, from 10 am until 2 pm. Shoppes at Beauvoir offers tenants exceptional visibility at a high traffic intersection. With easy ingress and egress and boasting a daytime population of 16,500+ within a 10 minute drive, only 4,760 SF remain for lease. For more information about this exceptional location in Biloxi, contact Doug Molyneaux, CCIM, at dmolyneaux@comvest.netor 228.594.3400. COMVEST Properties: Developing superior retail properties throughout the South.